Awesome post! 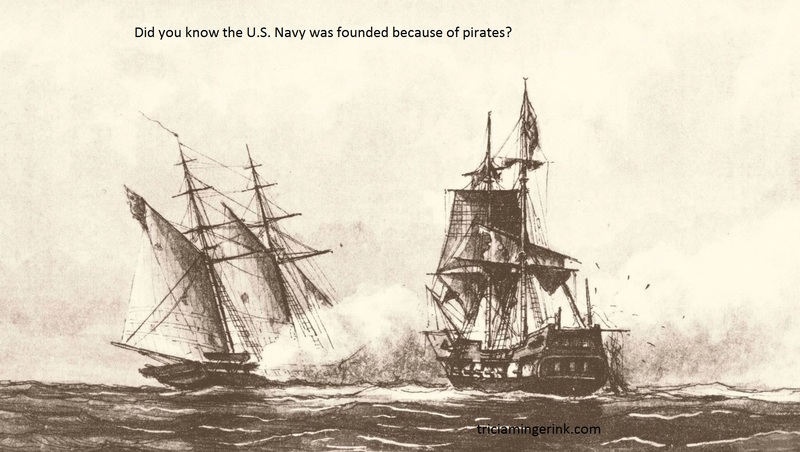 I had no clue the navy was founded because of corsairs. I may have unintentionally copied this in my WIP, lol. Isn’t it funny how that works? That is really cool, Sierra! When you are finished with the book and working on your revising, you might like to do a little research into the beginning of the U.S. Navy. I would especially recommend Six Frigates by Ian W. Toll. It is easy to read and has a lot of information. When it started, the U.S. Navy wasn’t strong like it is now. After all, the Barbary Corsairs declared war on the U.S. and figured they’d win. It wasn’t until the War of 1812 that the world even saw the U.S. Navy as a force to worry about. Your WIP sounds more interesting every time I hear about it! As much as I love naval history, I’ve never finished a book written on the sea. Most of my fantasy lands tend to be landlocked.